Almost every sector of global commerce is acquiring a more personalized focus and aviation industry is no exception. Gaining data about existing customer preferences to offer more tailor-made options is one of the top items on commercial aviation agenda now. Here, Asian aviation market is actively exploring the opportunities offered by personalization. 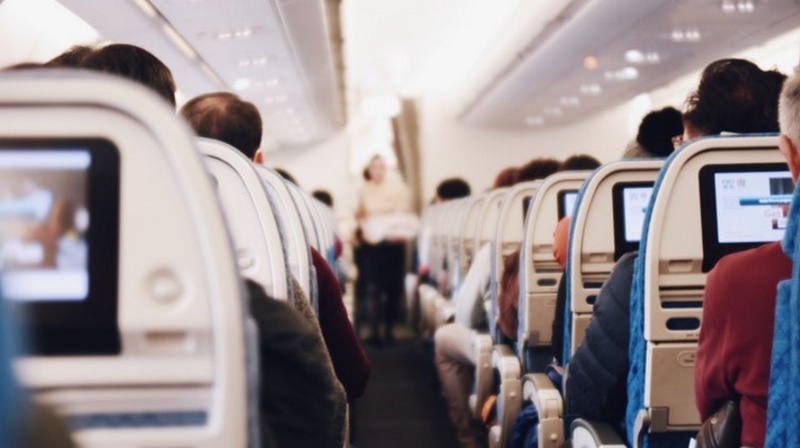 Individually recommended services, like the ones offered to Instagram or Netflix users, are now praised as the key to stable brand growth in aviation industry. Instead of wide range of services under “the more – the better” principle, the new approach preaches: offer less, but through a cherry-picking policy. Yet while personalization has become the name of the game, it poses quite a few challenges for airlines, including old technology and customers’ concerns over privacy. Smart service personalization begins with building a full map of customers’ data. This includes location, demographic information, whether they are travelling alone or not, history of ancillary purchases, and many more. Gaining this data and analyzing it is a key to understanding customers’ perspective in this “personalized” framework. Take, for instance, Malaysian Airlines plan to create a 360 degree customer portrait. Amadeus Customer Experience Management is the company’s recent technology, which gathers data from different sources and systematizes it. That way, it enables delivering a maximum of personalized offers, seamless experience to build strong customers loyalty. Air Asia has recently announced cooperation with Salesforce to deliver optimized customer care. Their approach is based, again, on showing a complete customers’ view. Additionally, it gives special attention to customers’ feedback data and analysis, promising not only to provide support, but to ensure improvements in each particular case. Algorithms of Artificial Intelligence may also come really handy in optimization of customers feedback. Artificial Intelligence helps analyze behavior patterns and make predictive models work better to narrow a selection of services and make them more personalized for each traveler. Singapore Airlines has a perfect example on how this can be applied in practice. When Singapore Airlines announced the delivery of its first Boeing 787-10, they also presented the new mode of in-flight entertainment coming as a set. Passengers of any class can now use the new system with personal recommendations, based on their preferences and views. Moreover, the system saves preferences and even allows passengers to continue watching or listening during their next flight. However, despite these projects, personalization still poses challenges for majority of airline business. Even though airlines arguably have more of their customers’ data than most companies, effectively systemizing and utilizing that data is harder than it seems. Airlines used to be one of the first to embrace emerging technology back in the 70s and 80s, but now majority of them face certain difficulties when it comes to new tech. Many airlines still use decades old systems and digitizing company-wide data is a slow process. While some areas are advanced, other systems are still primitive by today’s terms. This means that gaining insight from massive amounts of data and creating truly personalized offers for customers at the right time is tricky. Additionally, even if data is systemized and effectively employed to create tailor made offers, the question of privacy remains. Customers are quite concerned about how their personal information is being used. For example, there have been talks about customizing the price of travel packages based on user history. If a passenger preferred business class in the past, the airline may hide the cheaper offers, yet that can cause more dissatisfaction than gain. Considering the increasing competitiveness of the business, customer loyalty is key. So while personalization is hailed as the future of the business, in order to do it the right way, there are challenges ahead. “While personalization is the way to move forward for airlines, it is reasonable to point out the major issues that come with it. That’s why during AIR Convention we are dedicating one of the major conference streams to examine the ways to improve customer experience and the hurdles that come with it,” says Skaiste Knyzaite, the General Manager of AIR Convention – a two days aviation conference, exhibition and awards, dedicated to networking and pushing the industry forward. You can learn more about personalization forecasts and emerging trends within a specially curated “Customer Experience” panel during AIR Convention commercial aviation forum with Asian focus, taking place in Bangkok, Thailand in May, 2019.